A self-styled archbishop who claimed he could give infertile couples 'miracle babies' is still living and working in the UK despite his extradition to Kenya being ordered three years ago. The Home Office has said it is still considering representations from Gilbert Deya's solicitors that sending him to Kenya would breach his human rights. His appeal against extradition failed in October 2008 and he was refused leave to appeal to the House of Lords. Mr Deya is wanted on child abduction charges in Kenya where the government alleges he stole five children between 1999 and 2004. And it was in 2004 that BBC Radio 4's investigative programme, Face the Facts, first looked into Gilbert Deya and the so-called miracle babies. The programme heard how women attending Gilbert Deya's church services in Peckham, South London were told they would be having babies even though, in some cases, doctors had told them they were not pregnant or they were infertile. The babies were always delivered in Kenya, in backstreet clinics away from prying eyes where poor local mothers were sometimes willing to give up a child they could not afford to feed. Interviewed for Face the Facts in 2004 and asked how he explained the births of children with DNA different to that of their alleged parents, Gilbert Deya said: "The miracle babies which are happening in our ministry are beyond human imagination". "It is not something I can say I can explain because they are of God and things of God can not be explained by a human being". Today Mr Deya is not so keen to speak to the BBC. A call to his offices in London resulted in him telling us the BBC was "evil" for what had been broadcast about him previously. He told us never to call him again. He's not always media shy, happy to appear on his own TV channel, Deya Broadcasting Network, which screens his church services and phone-ins via satellite TV across Africa and Europe. Music videos of Archbishop Gilbert Deya dancing and singing can also be found on You Tube. 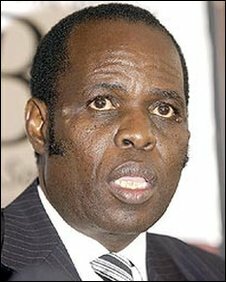 Financial accounts for his charity, Gilbert Deya Ministries, have not been filed with the Charity Commission and are overdue. But those for the year ending December 2007 show an income of over £1.1m, almost all of it through donations. Gilbert Deya's wife Mary has served a jail sentence for child abduction in Kenya. She's now facing fresh charges. But almost a year and a half after her husband's appeal against extradition to Kenya failed, he's still on UK soil, much to the dismay of the Tottenham MP, David Lammy, whose constituents were caught up in the 'miracle baby' case. "I really am shocked and deeply concerned that he has not yet made his way to Kenya. "I don't know why he is still here," he said. Mr Lammy added: "It is my understanding that there have been successive legal attempts to avoid that extradition but I will be writing again to the home secretary about this case because it is important many years later that justice is delivered for these young children who should not have been taken from their natural families". The Home Office told us "the Secretary of State has a duty to ensure that extradition does not breach the European Convention on Human Rights" and representations from Mr Deya's lawyers "are being considered." You can hear more on this story on You & Yours on BBC Radio 4 live from 12pm today (Thursday 1st April 2010) or later via BBC iPlayer.